Italian sculptor, the nephew of Giovanni Battista Foggini in whose studio he was trained. 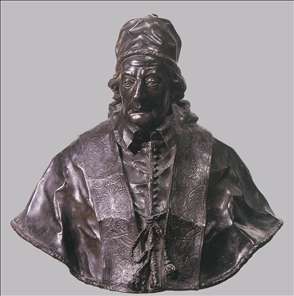 In 1725, the year of Foggini s death, he left Florence for Rome, where he lived for the rest of his life. He created medal portraits of Cosimo III deMedici (Bargello, Florence) and Gian Gastone deMedici (Galleria Estense, Modena). In 1725 he competed against Pietro Bracci in the Accademia di San Luca s competition for young artists; he shared the first prize with Bracci. Soon afterwards he entered the studio of Camillo Rusconi, who then died in 1728. Under the patronage of Clement XII he produced a figure of Temperance for the Corsini Chapel in the patriarchal basilica of St John Lateran. 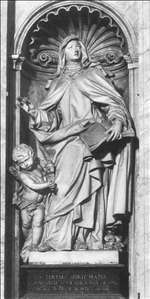 He also made a relief with St John Preaching and a funerary monument to the Pope for S. Giovanni dei Fiorentini. 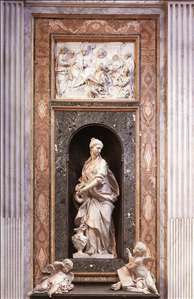 Under Benedict XIV he contributed to the renovation of Santa Maria Maggiore, making a statue of the Blessed Nicola Albergati, a relief of the Holy Spirit and heads of putti. 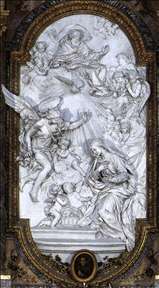 He added statues of St John of God (1745) and St Teresa (1754) to the Founders series in St Peter s. In 1746 he collaborated with the architect Ferdinando Fuga on the tomb of Innocent XII in St Peter s. He completed his monumental relief of the Annunciation for the church of S. Ignazio in 1750. His final great public works were his two great statues of Fecundity and Health for the Fontana di Trevi, which were in place by 1760. He became a full member of the Accademia di San Luca in 1730 and went on to become a major figure in the arts in Rome, working on the most important sculptural campaigns until the end of his career around 1765. See more details about "Annuciation"
See more details about "Bust of Pope Clement XII"
See more details about "Temperance"
See more details about "St Therese of Avila"